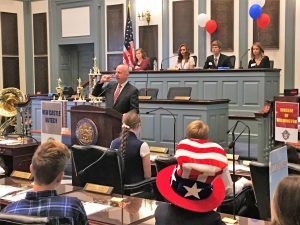 Dover – With Election Day just a few days away, thousands of students across Delaware made their selections known today at the 2016 Student Mock Election Convention, tallying up victories for Democrats including former Secretary of State Hillary Clinton in the presidential contest and Congressman John Carney in the race for Delaware governor. 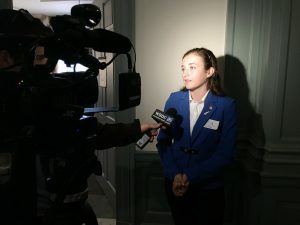 After three days of polling in more than 180 schools, delegates from up and down the First State convened in Legislative Hall to count the votes and announce their winners. 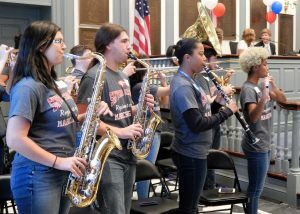 In addition to Clinton and Carney, the students also chose Democrats across Delaware’s other statewide races, tapping state Sen. Bethany Hall Long for lieutenant governor, Lisa Blunt Rochester for representative in Congress, and Trinidad Navarro for insurance commissioner. 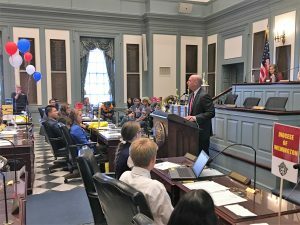 (Click here for full results of the election.) 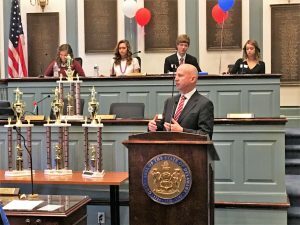 Since 2010, the Student Mock Election has correctly predicted the results of 13 out of 16 statewide races in Delaware, an 81-percent accuracy rate. 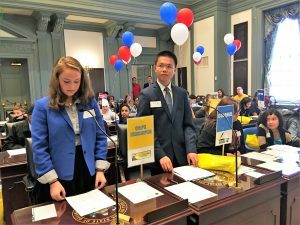 Each election year, the Student Mock Election is conducted by teachers statewide in partnership with the Department of State, the Office of the State Elections Commissioner, the University of Delaware Democracy Project and the League of Women Voters. 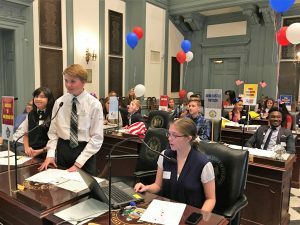 Coupled with lesson plans and classroom discussion about elections and the democratic process, fourth through 12th grade students were given access to a special online voting portal in their schools from Monday, Oct. 31 until the polls closed on Wednesday, Nov. 2. 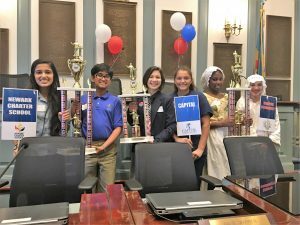 Friday’s convention also featured awards for the schools with the highest rates of voter participation: Charter School of Wilmington, Newark Charter School and Campus Community Charter School; and the most spirited student delegation: Capital School District.